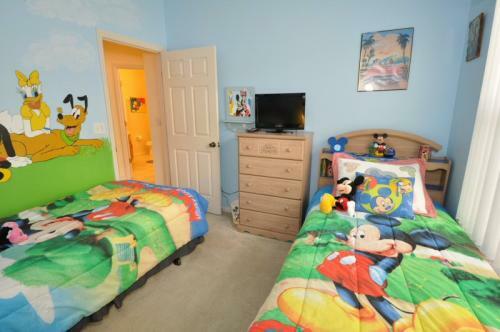 Reviews Disney Villa Aurora, south facing lake view, at gated Sunset Lakes -7 min to Disney! This is our second stay at Sue's villa and we didn't think it could get any better than last time but it did! The villa is just amazing, and since our last visit 2 years ago theres a new large tv in the living room and amazing new shower heads in all the showers. The whole place just makes the holiday more special. It feels so homely and has everything a family could need. The beds are so comfy we never had trouble resting after our busy days. The view over the lake was as gorgeous as i remembered and the pool heating was perfect. We had some chillier days this time and the pool heat was so good that we could still have a swim. Sue is so helpful we wouldn't hesitate to recommend her and her villa. Looking forward to returning. Thank you Vicci ...so glad you had such a good timexx and enjoyed my latest updates...replace or add some things every year..
We have just been lucky enough to stay at this villa for a month and we loved it. The pool is absolutely gorgeous and overlooking the lake was so peaceful - a wonderful view to wake up to! The villa was fully equipped with everything being thought of and the children loved the games room! Sue was a pleasure to deal with and the management company were excellent - very reassuring to know they were so near. Sunset Lakes is a stunning community and very close to Disney. We now understand why so many people recommend it. We had an absolutely wonderful time and can see why they have so many returning guests - we hope to be back one day too! I know you were really looking forward to your stay ...and so so pleased you found everything you needed to make your stay wonderful! We have just come back home from a 3 week stay at Sue's villa, which is a Dibb villa and it surpassed all of our expectations. It's location is perfect, close to the 192 with all of the restaurants and shops and so close to Disney that we could see the fireworks at night, we really couldn't believe how close this place is to Disney, with a lovely view of the lake where you can just sit and relax. Sue is a very nice person to deal with and always replies to any emails or questions that we needed answering and it has been a real pleasure. One day the pool screen had ripped off due to a storm and the management company was round in the afternoon to fix it as he had 3 others to fix that day as well. They do a great job and are easy to contact should you need them, they are based on Sunset Lakes so just around the corner from the villa. We enjoyed staying here so much that we have decided to book again for 3 weeks in 2019, (wish we could go every year). Everything about this place ticks off all of our boxes. Thank you Sue for letting us stay in your villa, we're looking forward to going back in 2019. Very pleased to have you stay, and so glad you enjoyed all so much! This guest was booking the next stay while they were there! Will be great to have you back! (2019)! Great guests...i often find the Dibber guests are the best! Just back from an amazing stay at villa aurora and we didn't want to leave! The villa itself is stunning, super clean, spacious, and the view across the lake from the pool is second to none. The master bathroom has the most amazing bath which is like a pool in itself it's so big. Sue is super helpful and the villa is equipped with everything you could ask for, state of the art appliances ( I wanted to bring the washer and dryer home with me) and the oven is amazing, so easy to use. She had toys and amenities which were great for a family and there's loads of fun to be had in the games room. The beds are really comfy which is a must after a long day at the park and the villa has plenty of towels etc. Her local management company are really friendly and helpful, we had one issue with the batteries in the door lock running out and they were at the villa within 5 minutes and the problem solved in under 2 minutes which we were really impressed with. We really hope we are lucky enough to stay here again, sunset lakes as a whole is an amazing estate and villa aurora is a jewel in the crown there. Thank you for such a thoughtful review! So pleased you enjoyed it and everything was there for your family.. The manager is based on site so he is usually very quick to come round and sort out anything you need...he and his wife are a real bonus! Altho i have many, future guests do like to read the most recent reviews! Sorry you had to endure the hurricane, which turned out to be no problem..but one day curfew on for safety reasons ! The villa is a wonderful place to stay even on lock in..there is so much to do ! We stayed at Villa Aurora for 8 nights during the last week of April. We did have some issues on arrival - the coffee machine still had used coffee in it left by the previous occupants and some surfaces needed a good clean or dust. The following morning we also noticed that the George Foreman BBQ had been left dirty. Having said that, I emptied and cleaned the coffee maker and wiped the surfaces which took less than 15 minutes so I didn't contact the MC but I did email Sue regarding all of the above just to put her in the picture. I'm sure these issues could have been down to a lazy cleaner on the day - we all have our off days. The villa is quite a big bigger than I anticipated so plenty of space for the two of us and certainly large enough for a family. I did use the oven once and that was clean and efficient, as was the fridge. There are plenty of cups, plates and utensils to make a family meal if you wish. There are comfortable sofas to watch TV with a great selection of channels. The wifi worked well with no issues. The washer and dryer were excellent too. There are plenty of bath and pool towels, spare bedding and blankets. The outside area (which is truly south facing) has a wonderful outlook over the large lake, the sun loungers are so comfortable that I did fall asleep on more than one occasion. My DH particularly liked the large umbrella over the table as it meant he could still get some shade whilst watching and photographing the wildlife. The pool is a great size, extremely clean and also deeper at one end than others I've used before, this did make for some great early morning swims. Location wise it's great for supermarket shopping and restaurants, so quick to get to many of our favourite eateries. Anyone visiting the Disney parks will find it an ideal location. All in all we had a great stay and I am happy to receive any PMs or emails if anyone is considering staying at Sue's home in the sun and needs any further information. We did have agency cleaners due to busy period over Easter..and the last guests were a house full, including 2 older teenage boys..
the BBQ is not the maid's responsiblity, but the last guest to use ..so the MC really does need to know about that! I had read all of the reviews on Villa Aurora before we stayed so I was expecting it to be a great villa. However, it far surpassed our expectations. From the moment we entered, it felt like a home away from home. I had looked at the pictures 100 times since we booked but they honestly did not do it justice. It is such a beautiful villa. We were a party of adults but this villa is also perfect for people travelling with kids. Sue has thought of EVERYTHING. From the high chair, to the car seat, right down to the little princess dresses hanging in the kids wardrobe. A really lovely touch. My DH was in his element fishing in the lake behind the villa. I think he would have spent the whole two weeks doing this! Sue is a dream to deal with. So helpful and willing to answer any question, no matter how daft it seems. Location wise, you couldn't ask for better. Everything you need is on your doorstep. We have booked again for September 2017 and can't wait to return. Book it - You won't regret it. Looking forward to having you back September 2017! Villa Aurora is in a fantastic location on Sunset Lakes, the view you wake up to in the morning is so relaxing and the location of the pool (overlooking the lake) makes you almost feel like you have your very own infinity pool. The master bedroom has obviously recently been re decorated and the sofas are brand new. We didn't use the other bedrooms as we are a couple with no kids, but all the other rooms are well appointed and beautifully "dressed". The kitchen had everything we needed and is well stocked with all the cups, plates, cutlery etc you could need. The management company supplied some milk sachets and a few tea bags for when you first arrive, Winn Dixie and Publix are a 5 minute drive away for more substantial supplies. The villa is well stocked with book, board games and information about the parks, and there is a games table and bikes in the garage (as well as a very efficient washer and dryer that resemble space shuttles)! Booking was simple and owner a pleasure to deal with, the keyless door made things so much easier as I didn't have to stress about losing a precious key! All in all can't wait to return, will certainly be back. We spent 16 days in Villa Aurora and absolutely loved every minute. We are regulars at Sunset Lakes as we love the area and the only issue nowadays is getting the villa that you want! Villa Aurora has everything that you need and more so you won't want for anything. The villa is spacious and very clean. The bedrooms are all a good size and the bed in the master is massive! The pool area is the best and the view of the lake is second to none! There are ample loungers and tables etc for your needs and they were all clean and comfortable. There is also a large array of pool toys in the garage to keep your kids entertained plus bikes to take a trip round to the dock at the far end to view the turtles! "Gilbert" the gator was a regular visitor in the lake and "Arnie" the armadillo did the rounds one morning! Sue is excellent to deal with and booking process was quick and simple. The only slight downside was next door's air conditioning unit which seemed to be a lot louder than others that we have encountered in the past and it did wake us a few times. However, we live in a street at home with zero noise so maybe that didn't help. Obviously there is nothing that could be done about this either so it is not a fault of the villa owners! We contacted the management company to confirm our late checkout on the last day and that was not an issue at all. We also left notes explaining that we had left some food and drink for the next visitors to the villa (our good friends from home were coming out the next day) and they received the stuff without any issues. All in all the villa is excellent and you would be hard pushed to find a better villa. We would not hesitate in staying in this villa again but the trouble is that it is booked up years in advance which speaks for itself! Thanks to Sue for allowing us to rent this wonderful villa. It's torture at the moment as I have to watch my friend posting pictures on Facebook as he is staying at the villa now and we are back in dreary Scotland! A great guest...Sunsetlakes lover ! Dave even recommended me to his friend ...and before he had come himself! thank you and very pleased both families enjoyed it so much! We are back in the not so sunny UK after spending a fantastic two weeks in your lovely villa. I can't thank you enough for the great communication and the quick response to my many questions. thank you for your brilliant comments! We are a family of four who have very recently returned from staying at the wonderful Villa Aurora! Sue Coleman was so helpful and pleasant, right from the moment we enquired about booking. Sue always responded quickly to all the emails we sent to her, and nothing was too much trouble, from arranging bed configurations, to tailoring the welcome pack to our needs. The Villa itself was absolutely gorgeous. It had everything we wanted from a holiday villa in terms of comfort, lovely furnishings, fab location, and a well equipped air conditioned games room. The crowning glory though was the wonderful true South facing pool, and lake view. There were lovely soft loungers to lie on and soak up the sun, plus a table with a parasol to eat meals and snacks around, which we frequently did. A lasting memory me and my husband will take from this villa, was stepping outside our bedroom door first thing in the morning (whilst the children were still asleep) and straight into a lovely sun warmed pool, with the sun starting to rise, and the lake so still and beautiful! That hour or so of peace and quiet before the kids were up and about was magical. Our two boys loved the pool too, and made good use of all the pool toys that were in the garage, and we left a floating pool chair that we had purchased, for other guests to enjoy! In the villa Sue has provided an extensive welcome pack folder, and an additional folder full of ideas for things to do in Orlando, from the parks, to days out and good restaurants to eat at. The Wifi was excellent, we had no problems, and it was nice and quick, even with 4 devices running at the same time! The kitchen was very well stocked with everthing and more that you would need, with a great supply of utensils, and lots of gadgets too! There was an abundance of towels for the bathrooms, plus lots of pool towels also. The new washer and dryer was great to use, and it never felt like a chore to do the washing as it was so quick and efficient. All in all, Villa Aurora is an amazing place to stay. If you are looking for a well equipped villa, with a fabulous pool and view, with an ideal location to all the parks, and eateries on the 192, then I highly recommend your hire this villa for your Florida vacation! A pleasure to deal with you ! We had an amazing time at villa aurora. The villa has everything you could possibly want/ need & more.. The beds are fantastically comfy. The closet space is wonderful. The lounge & kitchen were well used! Having several bathrooms is rather idyllic. We had one teeny problem with the ac-this was immediately dealt with and rectified. Thank you for your great comments ! So pleased the baby equipment and everything woprked out so well for you with a young baby! Happily it worked very well for all families! We stayed in the Aurora Villa from 12th -26th March, this is our 6th time going to Orlando and 4th time in a villa, so have an idea of the standards of other villas and was expecting the same with the Aurora, we were NOT disappointed it was excellent! The Villa itself was well equipped with everything you need in it, a true home from home, we only used the master bedroom and suite while we were there, but did have a nosey through the other rooms to see them, the kids rooms were great my 2 boys would have loved staying there when they were younger, they had really thought of everything for the kids, and very clean and tidy. We didnt cook any dinners while we were there but if you wanted to the kitchen was very well equipped with everything you need. The pool area was brilliant I could have stayed in the pool all day, we did make the most it and were in the pool every day for as long as we could, the surroundings were just breathtaking and fascinating watching nature at its best. We only dealt with the management co through email as I was asking them advice about the tolls, they were very helpful and answered back more or less straight away with very helpful information. There was just the 2 of us and we were there for a family wedding, while there some relatives came round to see us and were very impressed with the villa, they have taken the details for future bookings. To round off we would highly recommend Aurora Villa, we will definitely be contacting them first when we go back, the best we've stayed in. So pleased you found Aurora the best...and hope to see you again one day! There is now just the 2 of us - me and DH - DS has flown the coop and is now married and lives in the States. I research our holidays to the nth degree. This was following a nasty hotel room on I-Drive where people appears to be living in the bottom floors. I got this for a "bargain" price a few years ago and vowed from then on to never make that mistake again! We have also asked to be moved from a studio in Breckenridge - the place clearly hadnt been touched for 20 years - light sockets off the walls, doors hanging off, the most disgusting bath I have ever seen. In that case we slept in our clothes on the bed overnight until we could be moved the next day. We now ensure that we are doubly careful and will happily pay more (if required) to get the extra high standards that we require. (Over the last 12 years we have holidayed regularly in the USA, Canada and have also stayed in 5* Hotels in Kuala Lumpur, Borneo and Hong Kong. In fact Wills and Kate stayed in the same hotel that we stayed at in Borneo). I like my luxury and dont/wont settle for anything less. We had 2 weeks at Villa Aurora over Xmas - we arrived on Xmas day. On arrival a quick scoot round revealed a lovely home from home for our stay. Having read the previous review I didnt go round checking all the windowsills and legdes for dust - its not something that I routinely do unless the place is clearly dirty - then it this is the case it gets a thorough inspection (as with Breckenridge). I could find absolutely nothing to find fault with during our time there. Everything was spotlessly clean. I didnt notice any mould around the main bathroom - this was the only one we used though. We did get pool heating and the pool WAS warm enough to get into - but not quite warm enough to spend too long in there. I accept this as it was only really warm enough between 11-4 to be in shorts and a t-shirt anyway, and a couple of cooler days and the cooler nights would take any heat away :-( It was our choice not to use the pool - not the fault of the owner. I imagine if there were children staying they would have been more than happy to use the pool! The pool in the summer would be fantastic! The pool furniture and surroundings were very clean too - we had several afternoons lounging round the pool too. The kitchen and all the plates/cutlery we used were spotlessly clean, as was the fridge. We didnt use the oven so cant say what it was like. I would have absdolutely no hesitation in recommending Villa Aurora to any of my family or friends. In fact a friend who we were in contact with during our holiday looked at staying here next year but their dates are already booked. It seems like the previous renter had a bad experience but one bad review does not made for a bad villa. When you look at Trip Adviser you have to read the negative reviews very carefully to see what people are actually complaining about and to see whether what they are complaining about would be a good enough reason to dissuade you from staying there. If they are complaining about something that you think is irrelevant then it wouldnt be enough to put you off. I would say if you are booked to come here you will love it and will have no problems at all with the villa. It really is a home away from home. Thank you for your interesting comments and support ! You are right on the ball... sometimes cheaper options have not had as much care and attention..and not worth the small save on the price.. if you want luxury you need to pay a decent price and it is worth it for a great stay! Checked in at 3pm on Friday 5th December. Cleaner has obviously just left as the floor was so wet I nearly slipped over. The overwhelming smell of floor cleaner hit us too. Just unlucky I suppose? The cleaners need to clean right? The patio windows were horrendously dirty. Thick greasy handprints. The pool heating also didn't appear to work as the water coming through to heat the pool was cold (paid for heating). The pool cover was also left off. The manual given to guests with info about the villa stated that the best way to check the heating in the pool was working was to check the water coming through the jets. We called the management company to sort it. He offered to get a cleaner out for the windows but we declined. We wanted to unpack and order food as we had had a busy day so it was easier for us to just wipe them down ourselves. He also checked the pool temperature and said that it was up to temperature, give it chance. He put the cover on for us which was appreciated. The next day, by lunch time, the water was still coming into the pool cold. We called the management company again and they came over promptly. He checked it again and said whilst it was working as it should, he would turn it up slightly (by 1 or 2 degrees). Low and behold after that the water coming into the pool was then significantly warmer so maybe turning it up did the trick, or maybe it wasn't working originally and it kicked in once it was turned up. Could be electrical error, not human? Still, we managed a whole hour in the pool for the whole duration. Unfortunately after that it got much worse. That evening and the next day I was suffering from terrible breathing difficulties. I ended up at a Celebration Hospital so it took us until the Monday (3rd day after checking in) to really be able to check out the villa. What we found wasn't overly pleasant. The main aircon vent in the hall was very thick with dust. As were all the high windowsills, especially the one in our bedroom. Every picture frame, TV, ledge, artificial plants and mini air vent were very dusty. More than your average household dust. The shower head was so thick with limescale it had to be chipped off because the water was only a trickle. The seals around the shower were mouldy. The security fence around the pool was big enough to get a large dog through. The oven inside was thick with burnt on dirt and grease. The ice box in the fridge was that full of old ice and 'black bits' it needed thoroughly cleaning. This fact I omitted from our complaint to the owner because it slipped my mind at the point of our return and my initial complaint email. There were several plugs/switches covered with stickers asking us to "do not use"
None of the child alarms on the patios were working. We were a couple so didn't affect us however we were surprised as we thought they had to be? It so happened that we left the villa and stayed for two nights in alternative accommodation so the owner could arrange a "deep clean" of the villa. This was done by the time we returned and was more acceptable. Still not perfect, but had it been in this condition when we first checked in I wouldn't of had as much issue. We unfortunately flew home over a week early due to my illness and the fact I felt too unwell to stay and enjoy Florida. We have been in communication with the owner since our return for various reasons, and to send them pictures of the villa. We have received some recompense from the owner. Not for an amount we think is reasonable considering, however we have to give a fair review and still recovering from illness, I didn't have the energy for any more back/forth emails. We were really hoping they would be shocked at the state that it was in, but unfortunately their only response to the pictures was "not ideal". We have been very much made to feel that the "deep clean" was done as a favour to us, and not to rectify the Management Companies' lack of cleaning/maintenance. The only other point that was responded to by the owner was that the window ledge of dust is because of something to do with the beds (the main bed was comfortable) and the bases, and the fact that an issue was raised with a previous guest in October which was rectified straight away which meant the bed had to be dismantled. That was the reason for the very thick dust above our heads on the high window ledge. This however, was simply unbelievable. That means the windowsill wouldn't have been dusted since October. We checked in, as mentioned above, on Friday 5th December. The community was OK, but I think it's more marred by our villa choice than anything. The location was great, and I think with a complete overhaul, this villa would be nice, but in its current condition I really can't recommend it at all. Plus I thought wow! My MC came out 3 times to see this guest in her first 24 hours! It is less than a year old, high tec...and was working fine at 87 degrees ! At this point I did feel really sorry for her, however, since she claimed she was ill (and I knew she had been ill on her one and only previous trip)...so really bad luck there ..
We arrived after a very long flight( 9 hrs with a 2 1/2 year old! ) to a wonderful driver who put DVDs on for the kids and made very tired adults feel very welcome once we arrived at the villa to lots of oohs and aars we were very glad to climb in to the luxury of your enormous beds. Today we were going to go out but decided that we would prefer to stay in the villa as everyone loves it so much! Thank you again for letting us stay it is so much more than we expected I think you might have some trouble getting us out! Love the villa - just what we were after couldn't ask for more. Things haven't been wonderful for me since returning home, hence the delay in writing our review. We stayed from the 25th October - 9th November (we are the family that 'welovepedro' refers to in their review, so left less than a month before they arrived) and on the first night, we noticed a problem with the bed. I emailed Sue, as I wasn't sure it was an emergency and she emailed us immediately and said that Management would come over on the weekend; they did (twice in one day) and arranged replacement bed bases - Andrew was really helpful, very friendly and actually came back on another occasion to help with a very minor leak. We found the villa very well equipped, we found it clean and we left it equally so. I don't understand the comments about the ice - we used it frequently and the fridge/freezer was impeccably clean inside - likewise the oven (not that I used it more than once, but it looked like it had hardly ever been used - brand new, in fact). Also - window sill above the bed in the master suite?! Didn't ever get up there as it is about 7 foot off the floor! Great views out of the main patio doors in the master suite, though! Amazing views over the lake - plugging in the fairy lights over the pool after dark was lovely. The amazing screen around the pool was super - kept insects right out (I ventured out to take some photos of wildlife near the lake and was instantly bitten a number of times, but never 'inside' the patio area. Our children loved it, it was well equipped and thank goodness for a couple of the DVDs on long journeys! So sorry for the delay-totally unrelated to the villa-however I've been poorly since our return. We had the most magical time ever there. Great villa-fab location= super time had by all. Just returned from a lovely holiday at villa Aurora, as others have said the location is perfect, so close to everything yet quiet and peaceful. As for Susan's villa, well what can I say "Home from Home", the first thing you notice on arrival is how bright and spacious the villa is, then as you start looking around you realise Sue has thought of everything! ...this is not your basic holiday let! We had a fantastic stay at Villa Aurora. Its a large, spacious, beautiful villa. We loved that you don't need to pick up a key - its all digital entry codes. It's very close to disney and about 20-25 mins drive from Universal Studios. Our boys loved the games room and the wifi. Management company were efficient - came to fix broken pool chair same day as reported, and when I had a concern about the pool, it was checked straight away, so very quick to resolve problems. Lovely big pool, would have loved a light in pool for night swim! Loved the space, the amount of towels, great to have a washer and dryer. And most of all the gorgeous view of the lake. Beautiful. Am missing breakfast on the lanai! Was easy to book, and Sue very quick to respond to questions. Just returned from 24 days in Villa Aurora. The villa is 10 minutes from Animal Kingdom and has a great shortcut down Sherberth Road straight into the Disney area with only 2 sets of traffic lights. Sunset Lakes is in a very quiet location and the villa is right at the end of the estate so no through traffic passing. The community is gated and although the gates were removed half way through our holiday I still felt safe so did not feel the need to question this with Sue or the management company. There's a great view over the lake from the villa and the sun didn't disappear until around 7pm at night. The villa itself was clean and tidy, the kitchen cupboards are well stocked and have everything you could possibly need and more. I contacted the management company a couple of times and they were very helpful, even when I asked them to send a fax home for me. There's a 3 in 1 table tennis, air hockey and pool table in the garage which is great for the kids and again there's lots of pool toys, bikes etc in there too. Sue replied to all of my emails around the same time every morning and was very friendly and helpful. We as a family of 5 (2a,3c) stayed here for 21 nights. The villa is located in a beautiful and peaceful location but also very close to restaurants, shops and supermarkets. It was a well kept and clean community and the resident neighbours were very friendly. The villa itself was perfect. Very spacious and well equipped. The owner has obviously spent a lot of time thinking about what us families need as there was absolutely everything there you could think of. Our boys loved the games room and our young daughter appreciated all the toys and games. Everybody loved the pool which overlooked a beautiful lake. We have never had a "Villa" holiday before, but going of this experience it is probably the only way we would holiday now. It's fantastic coming back from days out to a homely place, being able to have a swim without packing up a bag, putting the children to bed and being able to sit outside with a refreshing drink watching the sunset. It was a fantastic holiday and we wouldn't hesitate to return again. Sue (the owner) was fantastic all the way through from our initial enquiry to us arriving back home in the uk. We've just returned from a wonderful stay at Villa Aurora. Everything was perfect - from the correspondence with Sue when booking to finally closing the door and sadly driving to the airport! We reported a porch light and lanai light which were not working to the maintenance company and they changed them that day, left a note to say that they had been and then followed it up with a phone call to ask if everything else was ok. Great service. We also asked Sue at the last minute if we could have the surfy room 2 single beds made into a king as this saved an argument between the kids! The villa was very comfortable and it was lovely to have a swim overlooking the lake. DS had a go at fishing in the lake while DH "supervised" from the pool! There was plenty of bedding, towels and crockery and a well equipped kitchen and laundry area in the garage which also doubles up as a games room. The white post box was also a good idea as when you first arrive all villas look the same! It was also great to be only 10 mins from the WDW parks! Sunset Lakes is a fantastic location. So quiet and peaceful yet so close to Disney. We found it convenient and relaxing. Susan Coleman is an absolute pleasure to deal with. She was friendly and helpful, responding to all our questions and queries very quickly. The villa is beautiful. Very spacious, light and airy. It has a real homely feel about it which is often lacking in other villas. Exceptionally well stocked with all the bits and pieces a family might need. Plenty of bedding and towels, including large pool towels. The kids loved the games room. The whole villa is obviously very well cared for with so many finishing touches that make it feel comfortable and welcoming. The pool area is stunning, with views across the lake. Lots of seating around the pool both in shade and sunlight. 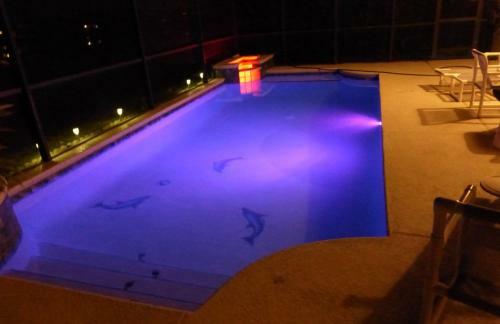 After dark, the lights around the lanai looked so pretty while we had our warm evening swim. I would have no hesitation in recommending this villa or returning there again. Thank you Susan, from all 4 of us, for the use of your beautiful Villa Aurora. We loved everything about this villa, its well managed and very spacious. It felt very homely after a long day in the park. The view from the pool is just beautiful, I never got tired of looking out over the lake. The kids loved both the pool and the games room. Had a fantastic week at Villa Aurora last May. Travelled with my 2 sons (4 year old and a 20 month old). Villa was extremely child friendly. Highchair, cot, pushchairs, crockery and cutlery. Lots of toys including HAPPYLAND- my older son keeps going on about when can we can 'go back to OUR house in Florida with the Happyland'!. Sue is really helpful and quick to answer any questions. I asked if there were any plug socket covers and she said that there wern't but she would have a look out- when we arrived there was a packet waiting! Little touches like that make a holiday with small children a pleasure. Thank you Sue. Still hoping to make it back over. Though will prob be in about 3 years! Booking this villa was so easy. Sue (the owner) responded immediately to all emails answering every question I had & providing any information I needed. We've been going to Orlando for over 20 years but this was our first time in a private villa & how I wish I 'd done it before. The villa was fantastic - so well equipped for families, that we actually felt a bit guilty that there were only two of us, talk about spoilt! The photos don't do it justice. The decor is gorgeous. I loved the pool in the evenings with it's twinkling white fairy lights & views of the lake & local wildlife - only birds & racoons - didn't see any alligators! 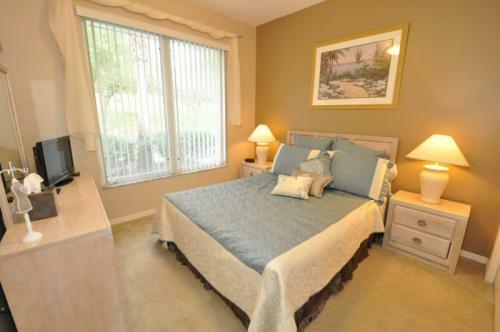 The location was great - very close to Osceola Parkway & all the attractions. We'd definitely stay in this villa again & would recommend to others. Thanks Sue. we had a fabulous time. We had our best Florida holiday yet at Susan's villa in Sunset Lakes. Lovely peaceful location yet so close to good restaurants, shops and best of all Disney! Being this close to the magic made such a difference to our holiday experience as we could pop out of the parks and back to the villa for a swim within minutes! The villa is homely and welcoming, with everything a family or group could need for a great holiday, we loved having a proper kettle too. Susan is fab to deal with, so helpful and very quick to answer any queries however 'trivial'. Highly recommend both the villa and community. Excellent villa. Susan was a delight to deal with throughout and the location of the villa is perfect. Genuinely less than 10 minutes from Disney and about 2 minutes from Formosa Gardens. Spotlessly clean and with all the facilities you will need. Not one of the really "wow" villas (that's not a criticism by the way) but absolutely perfect for a family with kids. Want to return to Orlando in 2012 and will definitely be interested in staying here again. We had a lovely time staying in Susan's villa. It's very well equipped and we were all very comfortable. It's such a short ride to Disney that you can pop back in the afternoon for a swim then go back for the evenings entertainment. We are looking forward very much to our next stay in March 2011. We have been many times to Orlando, always to villas - Aurora villa was superb! very thoughtfully equipped - with many ponchos (which sadly we needed), baby equipment, games room was well equipped too and even had air conditioning unit and stereo! so made for pleasant evenings playing various games. We were amazed to see all the different size and styles of Disney princess dresses in the 'disney' bedroom wardrobe - our granddaughter would have loved them! It was a very comfortable villa, felt like home from home - the DVDs proved useful too. Our only hiccup was the wonderful looking bed in the main bedroom - it was so soft and bouncy we moved to another to sleep (but that was not a problem of the villa, but our preference). The kitchen was equipped with everything you would need. Loved the brand new washer and dryer in the garage! state of the art! The view over the lake was unbeatable and south facing so wonderful sun all day, the sheltered area provided useful when the showers came, could still sit out enjoying the warmth and rain/storm! We would definitely recommend Aurora Villa, with the four bedrooms easily could accommodate a family or two! Owner Sue was brilliant, making contact just after we arrived to check we were happy with the villa and that all was ok and had we been affected by the hurricane which had just passed. So very thoughtful. Wouldn't hesitate to return! Welcome to Villa Aurora, named after the Sleeping Beauty Princess, as she truly does sleep in the tranquil situation of Sunset Lakes, and yet so close to Disney! Pool now has complete update with new tiles...new diamond brite surface with blue quartz and dolphin mosaics!..follow the foot prints down into the pool , swim with the dolphin mosaics, and then rest on the pool seat with the baby turtles!..sparkling pool!... come night time try the colour changing underwater lights to enhance your swim! The kitchen with 3 bar stools, overlooks the diner with jazz theme, which seats 6, and adjoins the lounge... both with sliders opening up on to the terrace with lake view! There is now a George Foreman BBQ grill for the terrace, and a drinks trolley to accompany... complimentary use so please clean after use...thank you..
Master bedroom one with US king size bed, with pillow top mattress, also has this terrace access and beautiful lake view, and has FLAT SCREEN CABLE TV and DVD COMBO, ipod player/alarm clock, and overlarge ensuite with Roman waterfall bath , oversize shower, twin vanity units, and walk in cupboard, with built in safe for guest use! All bedrooms have Hollywood style dressing room lights around the mirrors! This room is at the front of the villa and overlooks the garden...the villa situated in a quiet cul-de-sac and has no opposite housing and no thru traffic..
All bedroms now have these flat screen TV/DVD combos! All bedrooms have TV/DVD combos, fans, lamps, laundry baskets and plenty of storage. All bed linen and towels, including pool, are provided. There are a selction, including Disney, for the children and NOW 4 luxury Ralph Lauren large pool towels for the adults! 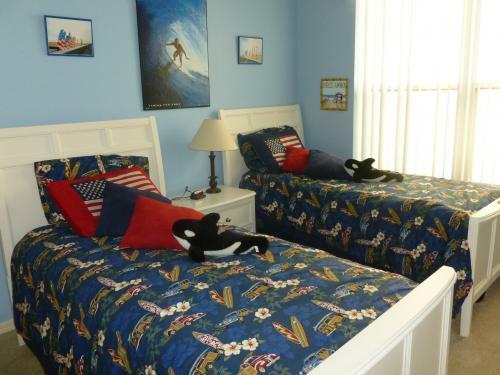 Twin bedroom 3 with FLAT SCREEN CABLE TV COMBO WITH DVD PLAYER is decorated in a vibrant Surfin'USA theme, this bedroom is now available as a double bedroom with a US king size bed! This enables 3 couples to stay at Villa Aurora in comfort, each having their own king or queen bed and own bathroom! Entrance hall has amazing feature floor to ceiling wall mirror, so check that suntan/outfit/look...before you go out! A basic welcome, tea, coffee and biscuits, pack is provided...which can be upgraded if required. Sunset Lakes' beautiful tree lined bouvelards, lead to the larger communal swimming pool with cabana... the totlot area ... and the fishing jetty and pretty gazebo on the largest lake. Villa Aurora is managed by an excellent company, who arrange cleaning, gardening and pool care, and will take care of any problems you may encounter...living in the community and only a phone call away! There is also an emergency number should you have any urgent problems in the evenings or weekends. The villa is accessed by an electronic key pad on the door, so no boring trips to find the key holders! LINK FOR INTRO AND VIRTUAL VIDEO TOUR! The virtual tour was completed in 2010... since then we have added flat screen TV/DVDcombos to all the bedrooms , decorated one and added the GF BBQ for the terrace ...also new kitchen appliances,AC in gamesroom and all new luxury patio furniture cushions...these are all shown on the video tour! And also now new carpets thru out, new beds and furniture in surfin' room, new AC and new pool heater, new state of the art washer and drier, new pool refurbishment with dolphin mosaicsnew double glazed sliders all across the back..reducing heat and sound!All shown on the website! 5 mins Gates of Disney! 2 mins from busy, buzzy 192 with its great selection of restaurants, The Outback, TGI Fridays, Red Lobster, Cracker Barrel, Gordianos, Carreras and now Wild Buffalo Wings all around the Formosa Gardens Plaza, and then a little further on Olive Garden, Long Horn Steakhouse, Applebees and Miller Ale House ( great family pub atmosphere! )...and brand new Bahama Breeze and also Sweet Tomatoes!Bonefish Grill and Texas Steak house , Joe's Crab Shack... and many more... inc all the eat-all-you can buffet options! 24/7 Walgreens Pharmacy and also Giant Walmart are both with in 5 mins drive! 20 mins all other theme park attractions and outlet shopping! 60 mins east to the Space Coast and rolling surf of the Atlantic! Sunset Lakes is an idyllic location to return to after the hustle and bustle of the theme parks when plenty of rest and relaxation are required. To sit by the pool with a cold beer or chilled wine looking out over the lake was my idea of heaven. ...rates held for 2017/18 for Dibbers at 2016 prices. Now booking 2016..and 2017...make sure you book early and get your discount! Early bookers benefit from a 5% year early booking discount... ! Thank you so much for renting us your lovely villa. it was just perfect and had everything we could wish for. we loved its position and spent many happy times watching the antics of the wildlife in and around the lake. now that we are back to reality we are already dreaming up ways of affording to book an even longer trip next time and will be back in touch when we have worked out how to do it! many thanks once again, yours is definitely the best villa we have ever stayed in and the first that we are actively planning to return to. We have just returned from a four week stay in this beautiful villa and we’re already looking forward to the next time we visit. As someone in the tourism industry I can usually be quite critical of the accommodation we stay in but there was absolutely nothing negative about this property. It is lovely, clean and spacious with everything you could possibly need for your holiday. My kids loved the pool and it was lovely that even in December they could play in it whenever they liked (pool heat is an extra but I can highly recommend it) – no hassle about having to pack a bag with towels etc and having to go down to the pool to fight for a sunbed. The kitchen is fitted with everything you could possibly need – I managed to cook a full Christmas dinner with no problem at all. Another useful thing we found were the tupperware boxes etc which we used to take picnics on days when we didn’t visit the parks. The location of the villa is great. It is extremely easy to find from the airport – took us just under 25mins from Orlando International. Literally 10 minutes away from the Disney entrance signs with several shops and restaurants within a 5 minute drive yet the area is sooooo quiet. It really was the perfect, relaxing holiday. The service we received from Susan was excellent. Lots of communication before we went to make sure that all our questions were answered and lots of tips about things we could look forward to plus emails whilst we were there just to make sure that everything was ok – nothing seems too much trouble for her. Nothing I could write will do this Villa justice – all I can really say is try it for yourselves – I know you will have a fab time. " Thank you so much for letting us rent your beautiful villa for our wonderful holiday, we had the most amazing 3 weeks. What a comedown it is returning to a cold and wet England, i'm full of a cold and its straight back to work etc. When we arrived at Villa Aurora the first thing i did was to open up the sliding door near the dining table and walk out onto the pool deck - wow what a beautiful setting, it took my breath away, peaceful, tranquil just as descibed on your website. The children couldnt wait to jump in the pool and they loved their bedrooms and the games room also. We found the information in the folders useful, the shotcut through Sherberth Road to Disney was great and some of the restaurants that were recomended we loved. Longhorn Steaks are the best! We drove to Kennedy Space Centre and also to Redington Shores, so we covered some miles. We felt so at home at your villa we all got quite upset on the day we had to leave. Thankyou once again. Adele Armitage 3 weeks... from August 16 2011 ! "Clean and comfortable and very well equipped for a family holiday. 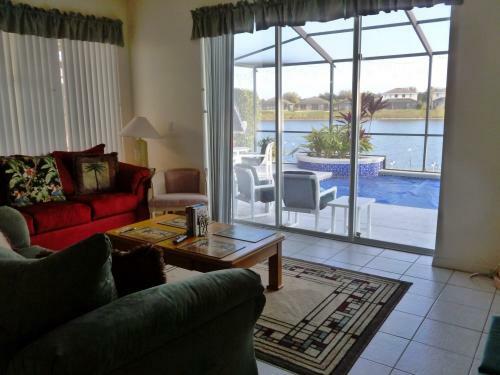 Great location, so close to Disney and lots of good restaurants yet lovely and peaceful too. Owner extremely helpful and easy to contact, would not hesitate to recommend this villa to others." "The villa was everything we expected and hoped for, a real home from home. Everything was spot on and the location of the villa could not have been better, a lovely peaceful retreat yet close enough to most parks and restaurants. Thank you once again for making your lovely villa available and hopefully we will return sometime in the future.. loved it ... will return soon"
We had a fabulous holiday and loved your gorgeous villa - thank you so much for letting us stay there. We spent our first week at Port Orleans Disney hotel and although it was very nice we won't be rushing back. When we arrived at your place we felt so much more relaxed and enjoyed our 2nd week so much more. The location is great isn't it - so quick to Disney and everything else on your doorstep too. We also spent a night at the Royal Pacific Resort over at Universal doing the Wizarding World of Harry Potter package and the two Universal parks. That was great - lovely hotel and a quick stroll to the parks and Front of Line passes etc. We'd probably do that again for a night but would definitely spend the rest of our time in a villa. The Harry Potter stuff was fab - my son Max was blown away by it all. Thanks for all your emails and helpful information, it really helped us settle in quickly. Anyway thanks again, we really did have a lovely time (and the kids adored their rooms). Now I just need to start saving and convince hubby we can return again soon! On Tuesday March 31, 11:33 AM, Terry Murphy (tmeastown@tds.net) said, Just returned from a March 2009 stay... FABULOUS home, so well equipped and maintained.Disney parks are less than 15 minutes away. I am recommending this home to my friends. This is a perfect choice for a large family stay. We travel often and are not easily impressed. Wonderful! "We stayed in Villa Aurora from 25th April till 9th of May 2009. We had a great time in the villa. There is a lot of space and all the amenities you need are there. The personal approach and tips from the owner Sue made it extra special. The pool was of course the best buy for our children. We sometimes had to drag them out the pool to visit some of the highlights of Florida. 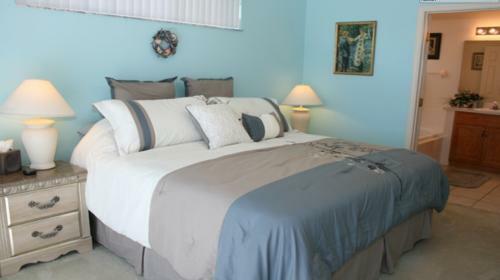 The villa is just a few minutes drive from the Disney parks and the I-192 but is very quiet and peaceful." "What a fantastic villa in an ideal location. Everything we could hope for and more was in the villa. Very spacious, very comfortable and just perfect in every way. The pool area is well furnished with high quality gear and the pool itself is plenty big enough and very well maintained. I have already recommended it to a friend and we are planning to return next year." Please note the prices on the website reflect charges relating to the commission charged by the booking co for bookings they obtain for me...please contact me for a Dibber quote for your stay! And now you can pay in ... £ sterling... $dollars... or Euros... !